← My first guard and handle replacement. Long handle to fit a big hand. 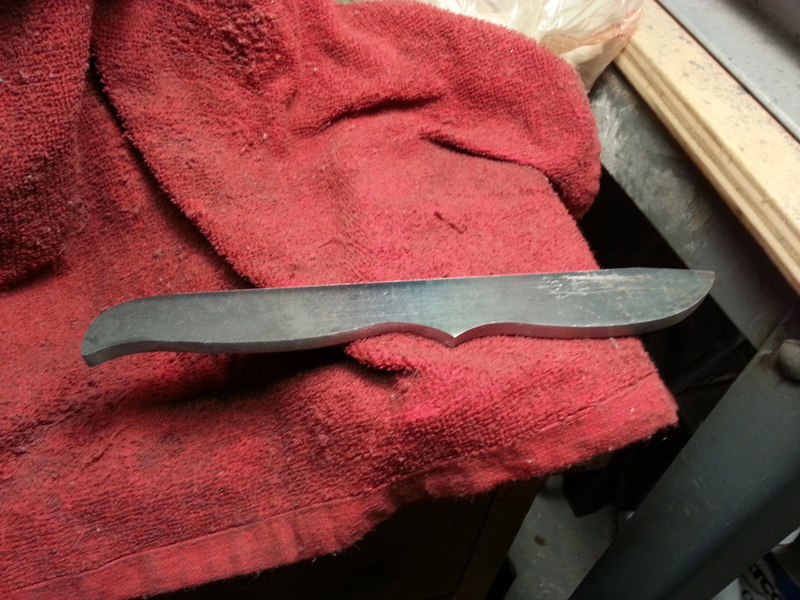 I have started my first knife from scratch. We will see how it goes. Here are some photos of the knife that I profiled. It has been a learning experience. The steel I used is 1080. 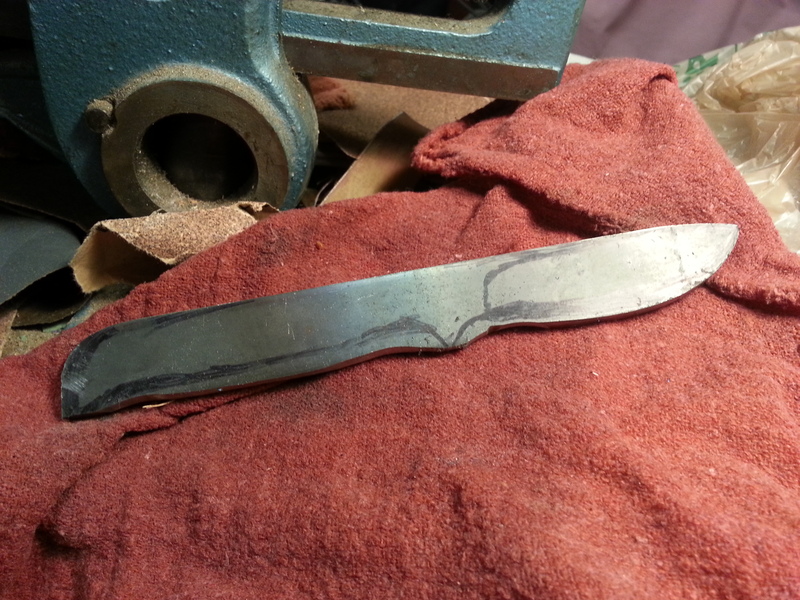 It is my understanding that 1080 is a is a simple carbon steel that is great for beginning knife makers, easy to work, great hardening qualities. and makes a great knife. I will keep you posted on the progress.